MOST private universities are modeled after their mentors overseas, for instance, Covenant University, Ota and Landmark Universities, Omu-Aran, Kwara State, both mirror Oral Roberts University, U.S; Pan African University, Lagos, looks up to the University of Harvard also, in the U.S. Bowen University, Iwo, University of Mkar; Babcock University, Ilesan, Remo, etc, all look up to educational institutions established by legacy mentors for emulation. The aspiration to achieve the academic feat and laurels attained by the mentor institutions often accentuated by exchange programmes reiterates the need for consistent improvement as a matter of principle. Virtually all the private universities in Nigeria emphasise entrepreneurship, while others have gone a step ahead to offer degree courses in Entrepreneurship and Innovation. In universities like Covenant, they even engage graduating students in a programme known as “total man concept” which is designed to take them through all the challenges of real business situations to enable them have a fore knowledge of the real life situation. The growing unemployment in the economy underscores the imperative of self-employment and this early recognition by these institutions to strategise against it is a step in the right direction. The private universities have, to some large extent, eradicated the culture of indiscipline associated with public universities, especially cultism menace, examination sorting, sexual harassment, indecency, alcoholism, absenteeism, examination cheats, assault, etc. Bishop Oyedepo (2009) says Nigeria has a great number of graduates but most are not employable on account of indiscipline. This perhaps, informs his Covenant University’s apparent rigid rules of discipline. The use of a single regulator (NUC) for both private and public universities tends to limit innovative tendencies of private universities in Nigeria. The orientation of the private universities is fundamentally different from that of the public sector as the former is driven more by market demand than the orthodoxy of the traditional university setting. The use of government regulator may slow down this process. In developing countries like ours, government has more resources than the private sector and therefore, sets the pace and standards for institutional developments. For the private sector to compete with the government they need friendly policies, grace period to evolve, and facilitative regulation, but this does not seem to be the philosophy guiding the university regulator in Nigeria. In 2012, over six private universities were suspended over some allegations bordering on inability to operate within set standards, while their public counterparts with apparent lower standards were allowed to run. Both private and public universities are spread all over the country and to locate NUC centrally in Abuja makes it difficult for effective monitoring given its budget constraint, personnel and other logistics. In the last Dana Airline crash of June 3, 2011, NUC lost a good number of staff who were on accreditation assignment, which regional officers would have handled if the agency were co-located (well-spread out). Private universities continue to rely on Joint Admission and Matriculation Board (JAMB) for admission of their students. This has rendered the imperative of sourcing for the right candidates quite challenging, which informs the strategy of post-JAMB test by the private universities (now copied by even the public universities). The argument of the private universities has been that the candidates that score high in JAMB find it difficult to cope with academic work upon admission. Private universities face huge challenges developing infrastructure like hostels, cafeteria, recreational facilities and laboratories, especially those ones that do not enjoy the support of their faith-based owners. It is highly recommended that the physical planning and development department will liaise closely with the Infrastructure Development Commission and Estate Agents to develop policies that attract participation in this direction. University education entails total orientation of a human being to pre-dispose him or her to transform the society for the common good. The freedom to explore one’s environment, latitude to experiment with life situations or human tendency to exploit life opportunities, is all part of the suite of activities to achieve this. However, most faith-based institutions do not seem to leave enough room for these expeditions. This might be due to the tender ages of some of the undergraduates who really deserve institutional protection and pious indoctrination. However, this orientation often renders them less prepared and ill-equipped to face societal realities. The desire to improve or at least, maintain services compels private universities to charge high fees well beyond the reach of ordinary Nigerians. Experience shows that the most brilliant students come from poor families. The implication of this is that brilliant but indigent students cannot attend these universities, while the institutions are denied the opportunities to attract the first class brains because of unaffordable fees. The government policy through private universities is unfriendly. For instance, in 2011 the government passed a law extending the retirement age of professors in public universities to 70 years and PhD holders to 65 years. The reason given was that those crops of academics retired at 60 years only to go back to the private universities. This is discriminatory to say the least. At present, research grants, project funded under education tax fund or appointment to committees for the reform of education are denied private universities notwithstanding that the same JAMB conduct their examinations and they are all subjected to NUC standards. The recent directive by NUC that all university lecturers must possess a PhD puts many strains on the private universities, as those who possess PhD prefer government universities due to the opportunities highlighted in the foregoing. Part of the NUC regulation is that universities should not produce higher degree graduates until they have organically gone through the process of graduating first degree candidates. This has limited local production of PhDs. The greater emphasis being placed on market-driven course such as accounting, economics, banking and finance and computer science is also, unhelpful to the private universities. Unfortunately, despite the growing demand by movie industry in Nigeria, most of these universities have not deemed it necessary to run courses in theatre arts and performance. This may not be unrelated to the religious background of most of the private universities. Experience of other jurisdiction shows that courses in humanities, natural science or civil engineering do not command high commercial appeal but hold great prospect for societal development in view of their ability to recognise, situate and analyse issues. Professor Wole Soyinka read English but he is one of the greatest minds of his generation. The private universities at present do not have any pressure group to provide advocacy to influence government policies towards achieving their objectives. Most private universities in the United Kingdom and the U.S. have admission or marketing officers that champion their search for new intake without necessarily going through a central admission scheme. This does not make their graduates less important than their JAMB administered graduates. The NUC accreditation criteria need to be more transparent, while a programme of university development should be in place for every new university to ensure that it overcomes teething challenges. These cannot come easy with a strong advocacy by the private university itself. • Students – teacher relationship will become mutual thereby eliminating social vices. • Studying the cultural heritage to sustain and transform its values. President Jonathan realised this imperative when he directed the establishment of federal universities in all the states of the federation even in states where governors were still dragging their feet over the issue. One expects that the same spirit driving the establishment of public universities would drive the policy for the establishment of private universities in terms of easing up the process without compromising standards to encourage participation. In a similar vein, the Federal Government is expected to resist the temptation to implement policies that put private universities at a disadvantage such as the recent retirement age for professors and PhD holders, which sought to discourage migration of such academics to the private universities. 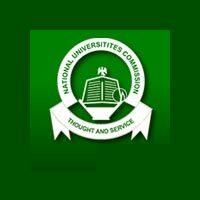 The NUC should be more transparent by publishing their requirements for university assessment, while bearing in mind that its oversight function is even-handed to facilitate rather coerce weaker partners in the education development equation. Everyone is a stakeholder with a common objective, which is to develop the university system in Nigeria to anchor economic development. Private universities should form pressure groups such as committee of private universities, registrars of private universities, proprietors of private universities, etc. to press for policy favours. After all, pressure groups are a cardinal principle of democracy. JAMB should make room for flexibility in admission administration to enable private universities get their right candidates even where it is beyond the shores of Nigeria. At the end of the day, the private universities, not JAMB, will be assessed on the quality of their graduates. Finally, there should be more collaboration among private universities, including exchange programmes, transfer of students and sponsorship for higher degree programmes. • Dr. Udendeh Ijiirvihi Gabriel is a management consultant and trainer based in Abuja.